The last method of evaluating games that we’ll discuss this month is by how complicated they are, with a particular focus on how easy or difficult they are to teach. Even if you’ve decided a given game is worth the money, and you’ve decided it fits into your collection, there are certain situations when a game is simply too complicated to be appropriate for a particular setting. The new player problem can affect how we evaluate games both at the point of purchase (“this game looks great and is a fine value for the money, but it looks like such a pain to teach that it’s not worth it”) and at the table (“we haven’t played this game in so long, but Mike doesn’t know how to play, so it’s going to take far too long once we’ve explained everything”). Of course, there are plenty of great resources out there dedicated to explaining how to teach games. We’ll cover those at the end, but since we’re primarily focused on game design, let’s start with what design factors can make a game easier or more difficult to teach. What makes a game difficult to teach? I conducted a survey of gamers’ opinions about “teachability” or the lack thereof in the least scientific way possible: by doing a few searches through the BGG forums with the phrase “easy to teach.” There are quite a few vague praises of games as being easy to teach but little in the way of specifics. What about the game makes it easy to teach? Poorly defined turns. Or, poorly defined effective turns. An example was Lords of Waterdeep, where “on your turn you can do one of four things, this or this or this or this. If you do this, then its good because ABC, if you do this, then it is also good because XYZ.” The chief complaint here is that it’s not necessarily apparent to the new player why ABC and XYZ are roughly equivalent, and why one might be better than the other under certain conditions. In Brass, there are so many “tracks” that the game moves along that it can be difficult to explain what each one does, much less how each relates to the others. To earn money, you need to make and sell goods; to make goods, you need to develop industry; to sell goods, you need to develop connections; but to develop industry or connections, you need money. Such “chicken and egg” situations can be tough to explain. Too many rules to support a lighter mechanism. One of the most important concepts in Small World is putting races into decline. According to one post, some new players have trouble deciding not only when to decline a race (a core strategic decision) but why to do it (“why would I ever decline a race that’s prospering?”) If a game mechanic is tough to grasp thematically, it might also be more difficult to teach. Better than even for its game mechanics, Race for the Galaxy is known for its iconography, the little symbols on each card that explain how each one works. Although those symbols are designed to make the game easier, at first glance, they can be confusing to downright impenetrable. Including extensive symbolic elements in the game, making player aids full-size sheets of paper, and showing a scoring track that goes up to 200 when an average first turn is worth 2 points make a game less teachable because new players are scared into thinking it’s more complex than it really is. Max Seidman at Most Dangerous Game Design gives a great example from a game he worked on called buffalo. He notes that while buffalo is very simple to learn, in early playtests, it appeared much more complicated that it really was, only because he hadn’t arrived on an optimal order for explaining the concepts in the rulebook. What makes a game easy to teach? It’s easy to simply say “the opposite of what makes it difficult,” but to some extent that’s the best answer. Evidently, it’s tougher (or less common) to articulate good teachability than bad, and players probably will not make many comments to the effect of “wow, this game is really teachable.” But it’s still a deliberate design decision that can lead to a game succeeding. A turn in Carcassonne consists of exactly two actions: place a tile on the board, and decide whether to use a worker or not. The idea of optimal tile and worker placement is a deeper strategic idea that might take some experience with the game to fully appreciate. But the notions of “you can put that tile there because the edges match” and “if you put a robber on the road, you will gain points” are simple to grasp. Ancient abstracts like Checkers are incredibly teachable because their rules exist largely independently of each other. A piece can move or jump to capture. A king can move or jump backwards. There are no “king phases” or “capture phases,” and every piece interacts with every other piece in the same way. Every time I’ve introduced new players to The Resistance, I’ve been able to explain it very effectively by asking “have you ever played Mafia?” The Resistance is so easy to teach because a great analogy can be drawn to another social deduction, identity-bluffing game. Few rules for a light mechanism. If Dixit contained an auction mechanism where players bid on which cards they wanted to tell a story about, or if Fluxx made players commit a worker to every rules revision they played, those games would be unnecessarily complicated and much more difficult to teach. How do you teach rules? Make sure there’s a catchy “hook,” a simple word or phrase your players can use to draw other players in. 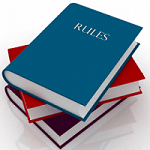 If teaching your game requires you to read aloud from the rulebook, the players will be lost. The easier it is to perform a demonstration of a turn, one player walking the rest of the players through it, the more the rest of the players will grasp the turn. Finally, rules are most easily taught by someone who already knows the rules, so the simpler and more intuitive they are in the first place, the easier they’ll be for anyone else to explain. Merely considering a game a good value in both money and time isn’t enough if teaching the game to new players becomes a factor as well. Ultimately, players want to go from “deciding to play a game” to “actually playing a game” in as little time as possible, and if that amount of time starts to approach the duration of the game itself, the game could be in trouble. The art of making a game easy for experienced players to teach and for new players to sit down to and understand is a central concept in game design, and our upcoming article series in April, focusing on “approachability,” explores exactly what makes players want to teach and learn a game. Posted in: Approachability, How do we evaluate games? You bring up the quality of written rules as an important aspect of teachability, which is interesting. You can have a very simple game that is essentially unlearnable just because the rules are bum-quality. Conversely, you can sass up a complex game and make it easy to learn by paying very close attention to your rules and testing them as vigorously as possible. I think this is one of the areas where board game designers can learn a lot from modern video games, which often provide comprehensive tutorials masked as introductory levels. Can we make our games teach themselves? The quality of the rulebook is certainly a factor here; you can make an easy game complex with a poor rulebook. But I find that a complex game is a complex game even once you have the rules down. You can make things simpler with good iconography and intuitive layout, but it’ll still be tricky to teach. I think Ginkgopolis is a strong example. I really didn’t like its rulebook. There are three actions you can take in a turn: Expand, Build, and Exploit. Of the three, Expand and Build are the ones that drive the game, whereas Exploit is more of a once-in-a-while action (unless you have a stack of Exploit powers). But the rulebook lists Exploit as the first action you can do, giving the misleading impression that it’s the most important action. Even worse, the rulebook doesn’t mention district scoring until its very last page. So if you’re learning from the rulebook, you have a real sense of “why am I doing this?” until then. District scoring drives a bunch of your decisions as a player, so it should have been mentioned in the game’s overview. Rulebooks are both tutorials and references. Only mentioning the district scoring at the very end is good for a reference, but not good for a tutorial. So it took me a few games to learn how to teach Ginkgopolis. But now that I don’t need the rulebook, do I still find it easy to teach? Sadly… no. It still has very tightly-coupled rules. The number of markers on your building matters for district scoring, and for the amount of things an adjacent Expand gets you, and for the cost to build on top of your building. Worse, players expect the buildings’ numbers to matter more. Things click about halfway through for a new player instead of at the end of the game, but I don’t think there’s a way to teach Ginkgopolis that your average new player (even a gamer) will totally grok the entire ruleset (not even talking strategy, just the rules) at the start of the game. It’s pretty opaque to a new player. You have to mash a few buttons first. As for introductory levels, it’s an awesome thing that video games can do that I think board games can do… a bit. But not much. There are some games that do this outright. Vlaada Chvátil is known for some rules-heavy games, so he usually bakes an “easy mode” into his games, which players can slowly move from. Through the Ages, Galaxy Trucker, and especially Space Alert all had this feature. Mayfair used to do this thing called Professor Easy. They would have a separate rulebook which would indicate a specific setup to arrange the game in, and then one player could teach everyone else using a sample game from the Professor Easy rulebook. It’s a nice trick, although I think they mainly used it to help non-gamers get into lighter games. I’d like to see someone do it aimed to gamers for a heavier game. I think one thing a designer can’t do is put in an “introductory level” in the standard game. If you have “easy” rules in the first part of every game, that part of the game will feel different and weird. I’ve played some games that do this, and it feels bad. I played one card game which had three rounds. In the first round, players drew cards from the deck. In the second and third rounds, players could draw from the deck, or draft discards from the previous round. This felt weird. The game opened up so much in the second round, I felt like the first round was artificially limited. It felt like a more annoying video game tutorial level, where I had to spend 20 minutes learning how to jump before getting to the interesting parts of the game. Games are many things, but one thing they are, are algorithms. And a good algorithm works for the whole game. A better thing to do is to make the patterns and rules of the game consistent the whole way through, even at the very beginning of the game, where the patterns don’t have an immediate impact. I have one game I’m working on now, Prime Time, where players manage TV networks. All TV shows list the points they get for each season they run. Players track this with a cube on the show’s card. At the end of each season, they move each show’s cube down one season, which indicates the next season’s new score. Players start the game with three public access shows, which give no points. I elected to have players put scoring cubes on those cards anyway. Why, if players don’t score them, and their score doesn’t change? The answer is, because I want players to understand the game’s scoring from the very start. Even if the public access shows don’t score any points, it’s important for them to have scoring cubes, so players understand the possibility of scoring. This makes scoring consistent for the entire game. I think little tricks like this are a good way for designers to make games easier to teach. Your Prime Time game brings up an important consideration for both teachability and carries over to what we’re covering next month, Approachability. That idea is consistency – it is much easier for players to follow a game if you can build a consistent habit early. Your game uses this idea effectively – get players to use the cubes early so they don’t feel a radical shift in gameplay when they actually need to use the scoring cubes later. Consistency is why we don’t see many games that have radically different phases. If the first half of a (hypothetical) game uses worker placement and the second half transitions to an area control game, players would be quite befuddled as they lose the consistency that breeds predictability or foreseeable attributes which they can use to build strategy. You’re absolutely right, rigorously testing rulesets and a willingness to revise poor quality rulebooks can go a long way to improve teachability. As Gil intimated, board games have an uphill battle in using tutorial style methods to improve teachability. Board games usually carry a “single-sitting” reputation – that is we usually sit down, learn the rules, play the game and then clean it up. Having too much of a tutorial phase adds a great deal of length to the experience which isn’t traditionally present in many other games. Board games arn’t as conducive to some tutorial methods as players would rather do something else than take a prerequisite training course before getting to the real game. This may be why we see limitations in how games have been developed in regards to teachability. Consistency is absolutely a thing to strive for. I really like your point about not changing the game partway through; not every game can do it. The only games that can get away with breaking consistency are quick games. For Sale breaks consistency; its first half is a round-and-round auction with money for property, and its second half is a blind auction with property for money. But it’s a 20-minute game, and both halves are auctions that are fairly easy to explain, so there’s usually no problem. On the other hand, Steel Driver is difficult to explain because its endgame scoring is pretty much a separate game. New players don’t really get how scoring works until after they’ve seen it, and by then, the game’s over. The was also a problem in Time ‘N’ Space that its parent, Space Dealer (a game I’m a big fan of) didn’t have. Great distillation of teachability tips! When I worked on buffalo, we never actually found a perfect order for the instructions booklet. We only ended up finding the configuration that worked better. At its core, the original problem was an interconnected elements problem. Even lightly interconnected elements can be hard to explain, and I’d say around 90% of the games I’ve worked on have some interconnected elements. For me, the toughest thing is teaching a game with many interdependent elements. Terra Mystica, Die Macher, Brass, Ginkgopolis, and Bruxelles 1893 are all difficult to teach because I can’t just start with scoring and work my way backwards. I have to circle around. Let’s say I’m teaching an easier-to-teach game like Puerto Rico. It’s a game with a decent amount of depth and rules complexity, enough to be overwhelming for some players. But it’s not so tough to teach because I can start with the setting (“Colonizing Puerto Rico”), and then go to the victory condition (“Player with the most points wins”), and then go to how you get points (“Construct buildings and ship goods”). Then I can explain the role selection mechanism, and by then, players are acquiring an understanding of what’s happening. Now let’s look at Terra Mystica. You’re various races trying to conquer a land. Fine. How do you get points? Well, there’s the network bonus, but to explain that, I have to touch on indirect vs. direct adjacency. I could mention the shipping track here, but probably better not to. There’s the cult tracks; those aren’t too difficult to understand. Then there’s the specific round bonus, upgrades for shovels and ships, and a few things you can pick up here and there (favor tokens, bonus markers, etc.). Fine. Now I have to explain the turn structure. Not too complicated. Now I have to explain turn actions. Here’s where it gets tricky. I have to start with terraforming and building dwellings. That means explaining the terraforming circle. Note that I am not explaining VP/power trades from directly adjacent buildings, because I haven’t explained power yet. Next: Upgrading shovels. I just explained terraforming, so this is easy. Next: Upgrading shipping. This is a good callback to direct vs. indirect adjacency, an important concept in the game. Next: Upgrading structures. Lots to explain here, because I have to touch on the tightly coupled concepts of favor tokens and Stronghold powers. Still not mentioning VP/power trades yet. Next: A brief sidetrack to explain power. How the three bowls work, what you can buy with power at the start of your turn, a brief mention of things you can buy with power in an action I’ll explain in a second, and how to burn power out of the second bowl. It’s at this point that players’ eyes start glazing over. But no time for that! Gotta go back to building. Point out the power levels of the buildings, and describe VP/power trades for adjacent buildings and upgrades. Next: The cult track. Reminder that these score endgame points. Point out another tightly-coupled mechanism: the cult track offers power income. Reminder of a third tightly-couple mechanism: favor tokens also increase cult power. Now it’s the home stretch. All that remains is tying together the remaining concepts of power actions, orange hex actions, passing, bonus tiles, towns, bridges, and individual racial powers. It takes about 30 minutes to explain everything, as opposed to about 15 for Puerto Rico. It’s an intense 30 minutes, not just because of the sprawling variety of mechanisms, but because they’re so interdependent on each other. For example, upgrading a trading post to a temple means getting a favor token, which means going up the cult track, which means possibly gaining power. It also means possibly granting power to other players for spending VP. Those are radically different ideas, but they’re so locked together, it’s tough to explain one in isolation. I have to circle around to get to them all. You’ll notice that in my script, I don’t even mention power until halfway through. That’s because there are a bunch of core concepts I want to get down first. I find it easier to start with those, and then start showing how power hooks into them, instead of starting with power and then asking players to hold onto that information. In the case of Terra Mystica, once I finish with the rules explanation, the sprawling nature of the mechanisms turns from a bug to a feature. Players see that the dizzying array of options, and the way they so closely interlock, gives them a truly fascinating set of options from turn to turn. But it does mean that teaching the game is quite brutal. Wonderful write-up Gil, keep ’em coming. As you described the process, it got me thinking about your blog post earlier this month on Transparency vs. Opacity. In many ways teachability is restrained in games like Terra Mystica as players can’t quite foresee the direction of the game mechanics. I had a similar experience learning and then teaching Bora Bora a few weeks ago – since the game is sort of a collection of sub-games, there isn’t necessarily an ideal order to process or deliver the information. Regardless of how mechanically sound games like Terra Mystica can be, if they don’t facilitate the instruction process it can be, as you said, a brutal experience to teach.